DJ Koze (aka German producer Stefan Kozella) has been establishing himself in the electronic scene for over a decade, and he returned this year with his first full length album since 2005, Amygdala. The album’s aided by a handful of great guest appearances from Caribou, Apparat, Matthew Dear, and Milosh, who has been experiencing success this year with his new project Rhye. You can stream the album in its entirety below. DJ Koze has a few festival appearances scheduled this year, including Electric Daisy Carnival Chicago which goes down from May 24-26 at the Chicagoland Speedway in Joliet, IL. It’s Koze’s only announced US date at the moment. Other than DJ Koze, and a few others like L-Vis 1990, that festival features mostly EDM stuff like Avicii, David Guetta, Tiesto, Benny Benassi, Kaskade, and Armin van Buuren, which Koze is not a fan of. 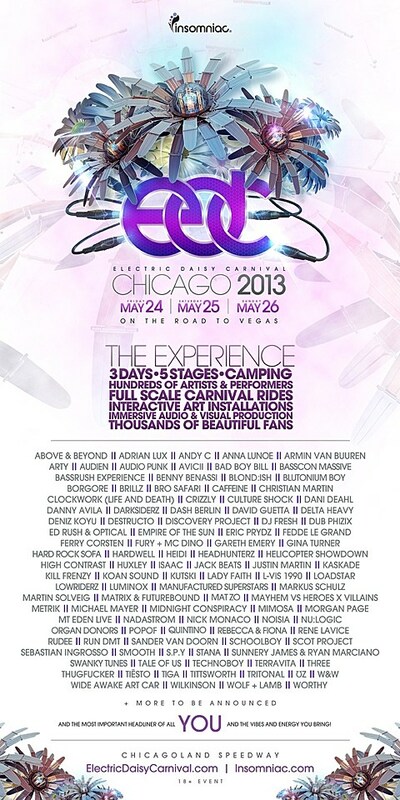 Tickets for Electric Daisy Carnival Chicago are on sale now.